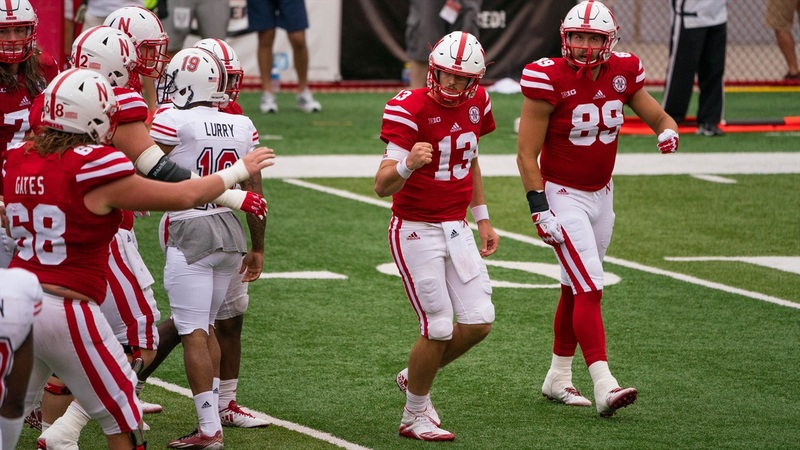 Husker quarterback Tanner Lee will reportedly play Saturday against No. 10 Penn State after being cleared from the concussion protocol. Lee suffered an “impact migraine” during the first half of the Minnesota game on Nov. 11 and did not return for the second half, replaced by redshirt freshman Patrick O’Brien. Lee has made steady progress throughout the past week, however, on the way towards being cleared by the Nebraska medical staff. On Tuesday, Riley said he was remaining optimistic that Lee would be available, and on Thursday, Riley said Lee was on track to be cleared so long as no setbacks occurred before the Huskers’ walkthrough on Friday. Initially, Riley said the team hadn’t decided if Lee being cleared would mean Lee starting and playing full-time. O’Brien spent the first two days of the week earning all of the first-team reps in practice, before splitting time with Lee on Wednesday and Thursday. Riley said Lee has been involved all week, though. Lee ranks fourth among Big Ten quarterbacks in passing yards this season with 2,539. It’s the negative that’s been the story of his season, though. Lee leads the conference in interceptions thrown (13) and ranks ninth among 12 qualified passers in completion percentage (57.2 percent). The Huskers and Nittany Lions kick off at 3 p.m. CT Saturday.